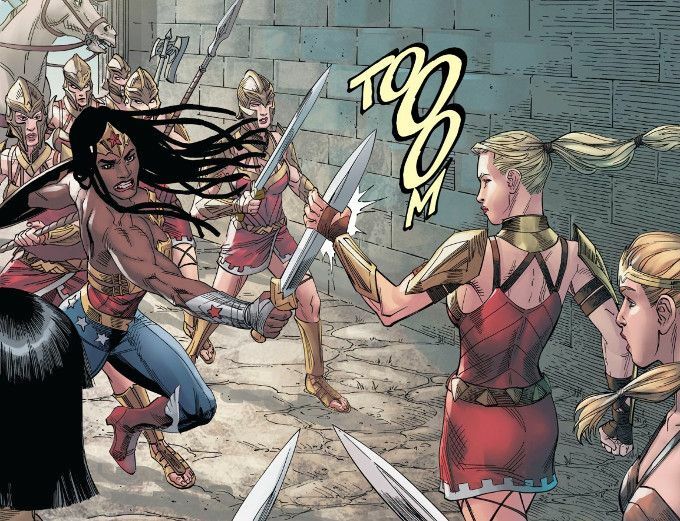 The war between the Amazons is begun, with Antiope and her rebels fighting against the new Wonder Woman, Nubia, and Hippolyta's loyalists. They will not have an easy time freeing the princess Diana, but they do have one advantage - the Kryptonian Kara Zor-El is on their side. This should be an epic issue and with a different artist it might have been. 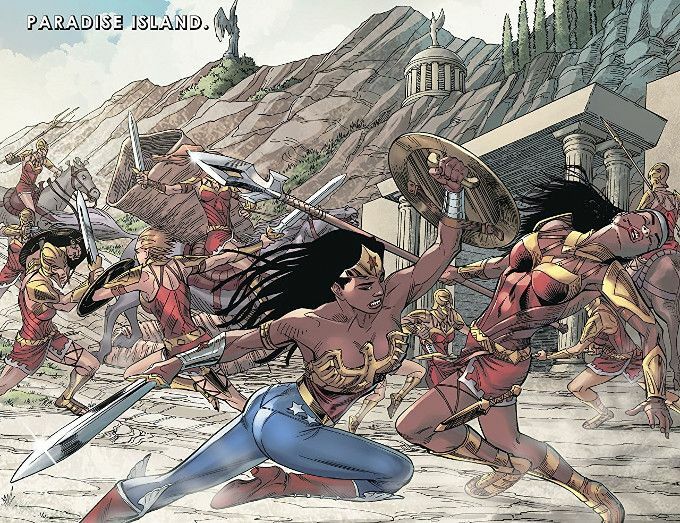 Tom Taylor writes some great action sequences, as per usual, but Mike S. Miller seems to have phoned it in this week. The artwork in this issue is full of forced poses and Escher Girls, making a farce of the whole thing. The Final Analysis: 5 out of 10. That's purely for the story.